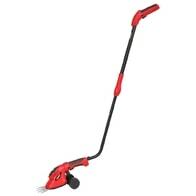 Electric powered grass trimer with telescopic handle and ajdustable cutting head angle. Power input 550 W. Working width 30 cm. Weight 2,6 kg. Cordless grass trimmer with working width 8/11 cm. Telescopic handle. Usable also as a hedge shears. Electric powered grass trimer with telescopic handle and ajdustable cutting head angle. Twist grip. Power input 600 W. Working width 30 cm. Weight 2,8 kg. Electric powered grass trimer with flexible joint. Power input 1200 W and working width 38 cm. Separable shaft, includes shoulder belt. 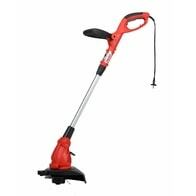 ACCU grass trimmer with working width 28 - 32 cm. Voltage current 40 V. Compatible with battery HECHT 005040B (ACCU program 5040). Battery and charger are not included in the package. 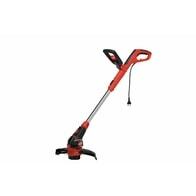 ACCU grass trimmer with working width 25 cm. 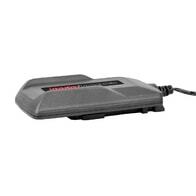 Voltage current 20 V. Compatible with battery HECHT 00620B (ACCU program 6020). 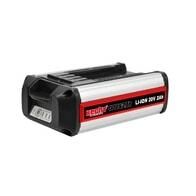 Battery and charger are included in the package.